OnePlus 6T size comparison versus the iPhone XS, XS Max, XR, Galaxy S9, S9+, Note 9, etc. OnePlus 6T has just been unveiled as the company's latest attempt at taking the Android scene by storm, and from the looks of it, it covers all the necessary requirements to do just that. 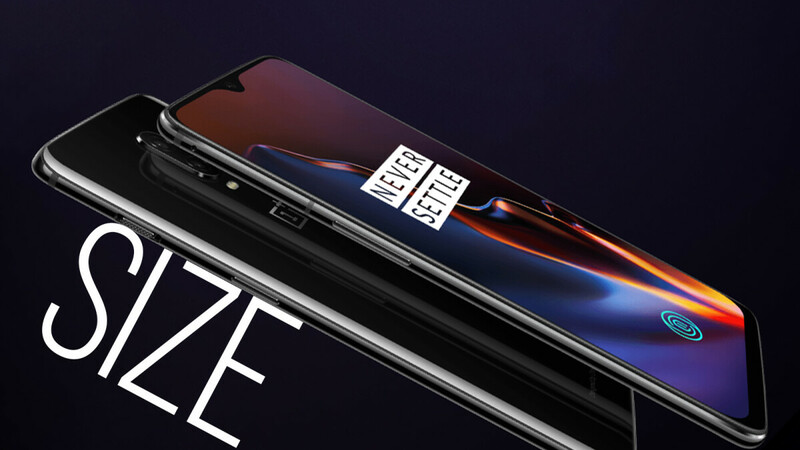 With top-of-the-line hardware specs that are in no way inferior to the competition's best, trendy and forward-thinking design, and last but not least, killer price that puts it way ahead of most of its rivals, the OnePlus 6T is on set to become yet another exceptional release. In terms of design, the phone is up with the bets in this oh-so-important aspect - bezelless design, a small dewdrop notch, and a polished full-glass body definitely make it a looker. It's also a very efficient device in terms of screen-to-body ratio, another very important metric with today's large devices which are more often than not pushing past the 6-inch display frontier. Here's how the phone compares against some of its most popular and important rivals in terms of size and size alone. Too big. I wish OnePlus had targeted the midsize (think LG V30, Moto G6, iPhone XR) instead of the Plus class. Otherwise I would seriously consider buying one. With the front of the phone being all-screen, 6" would have been an ideal size. It would be nice if they were to offer smaller devices with nearly the same specs, save for perhaps a smaller battery. It would also be nice to have a have a slightly higher screen resolution other than the 1080p+ display. To me it is entirely about one-handed use and pocket-friendliness. My eyes can handle small text just fine; they handled it just fine on earlier Android devices with mere 4"-5" screens. I'd just like more than a couple viable options (Galaxy S, Pixel). Nothing is shorter than the Note 9. That phone is practical joke big.